Open the IIS (Internet Information Service) Manager from the Start Menu of your Windows system. 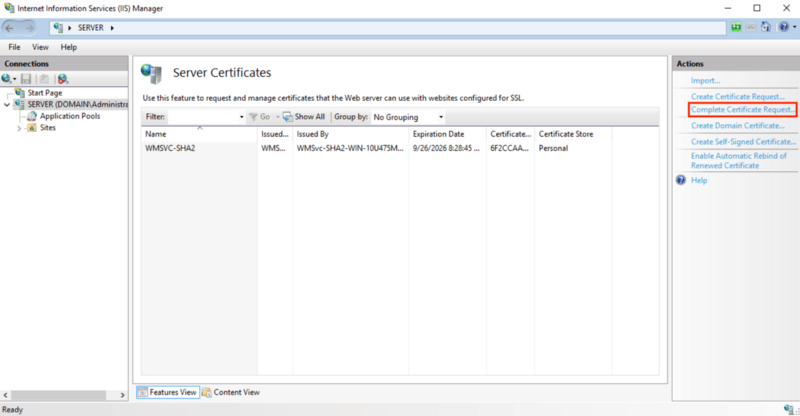 Double-click on Server Certificates from the IIS panel. A new SSL Certificates view will be here. Request Certificate dialogue will be on your screen, add following properties one by one and then press the Next button. Now, you need to select the Cryptographic Service Provider Properties and press the Next button. Select 2048 as the Bit Length. In the File Name tab, you need to add the location where you are wishing to save the CSR File and then press the Finish button. Access the location which you have added recently and open the CSR file with a text editor, the CSR file will be in the following format. 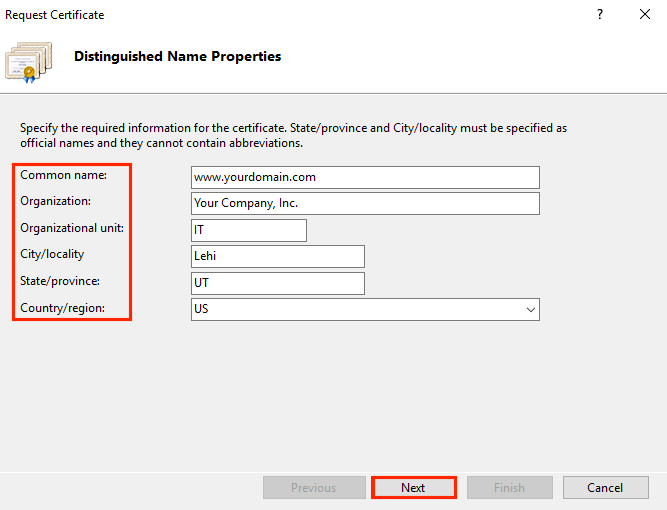 Once the Certificate Authority provides you the Certificate files, the next step is to use the SSL Files and CSR file to install them on your Windows server. Now, from the Actions tab, click on Complete Certificate Request. select a proper Certificate Store from the dropdown list. Finally, the SSL certificate is now installed. The SSL certificate is successfully installed. From the IIS, in the Connections tab, expand the Server where your SSL was installed recently. Expand the Sites and click on the website for which you are wishing to assign the SSL certificate. From the Actions tab, click on the Bindings… link. Finally, your SSL certificate is now configured for your domain name, and now your website is enabled with HTTPS://. This process is divided into two roots. SSL certificate is now installed. Finally, SSL certificate is now configured for Multiple Domains.